With many eyes this week on the Ninth Circuit litigation challenging President Trump’s Executive Order regulating entry into the U.S. by nationals of seven Middle Eastern and African countries, less noticed but potentially as important is a separate lawsuit (San Francisco v. Trump) the City and County of San Francisco has filed against the feds focusing on a different Executive Order the President has issued—this one seeking to rein in so-called sanctuary jurisdictions. Although the term “sanctuary” lacks universal legal meaning, San Francisco has long considered itself a sanctuary city insofar as it limits its cooperation with federal immigration authorities. San Francisco’s stated view is that its residents are safer and healthier if undocumented residents feel free to report crimes to police and to avail themselves of other public resources (e.g., health clinics and schools) without fear that local authorities are actively working with the feds in deportation efforts. As he made clear during the campaign, President Trump is no fan of cities that hold themselves out as sanctuaries, suggesting, among other things, that they facilitate crime. It was therefore unsurprising when, just five days after taking office, he issued an Executive Order—entitled “Enhancing Public Safety in the Interior of the United States”—that directs relevant cabinet officers to deprive “sanctuary jurisdictions” of federal funding and to “take [additional] appropriate enforcement action” against them. Importantly, this Order defines “sanctuary jurisdictions” narrowly as those “that willfully refuse to comply with 8 U.S.C. 1373.” Section 1373, in turn, says in pertinent part that “a Federal, State, or local government entity or official may not prohibit, or in any way restrict, any government entity or official from [maintaining,] sending to, or receiving from, [federal immigration authorities] information regarding the citizenship or immigration status, lawful or unlawful, of any individual.” Thus, the statute prevents a state or local government from having a policy or practice that forbids maintaining or giving to the feds information on the immigration status of individuals. The Executive Order instructs cabinet officials to take enforcement action against sanctuary jurisdictions, which could include the discretionary termination of federal funding to these jurisdictions. San Francisco receives over a billion dollars a year in federal funds, which it says represents about 13 percent of its budget. Fear of losing this money led the city last week to file suit in federal court, challenging the Order and also the underlying statute (section 1373). But how likely is the lawsuit to succeed? Moreover, we have a new Administration, and we don’t yet know whether it embraces a reading of section 1373 that goes beyond the statute’s plain text. The Complaint does cite at length Candidate Trump’s campaign rhetoric characterizing San Francisco as a sanctuary city—in an attempt to explain San Francisco’s fear that the new Administration will read section 1373 broadly, but these campaign statements are of limited relevance insofar as Mr. Trump appears to have been using the term “sanctuary” city in its colloquial sense (as San Francisco itself does), rather than the way the term is narrowly defined in the Executive Order and section 1373. It is one thing to employ extrinsic statements by Candidate Trump to deduce the intent behind particular actions he has taken (as the State of Washington’s lawyers are trying to do regarding religion in the Ninth Circuit case concerning the entry ban); it is another to try to use such statements to predict what President Trump necessarily will do (when his official policies to date concerning section 1373 refer only to the statute itself). Of course, if the Complaint is read to mean that San Francisco intends to start violating section 1373 as written (which the Complaint never really says), the city’s lawsuit has a much higher chance of being considered ripe. San Francisco requests a declaration that it is not violating section 1373. If the city does in fact comply with the statute, and if that claim is somehow ripe notwithstanding the problems identified above, then the case should end with a simple declaration that the city is not currently in violation of section 1373. 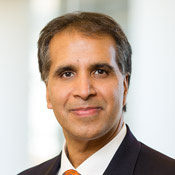 The majority of San Francisco’s Complaint, however, is devoted to asserting that section 1373 and the Executive Order’s enforcement directive are themselves unconstitutional. Let us assume that these assertions really do mean that the city intends to violate section 1373 as written, such that its beef with the statute (and the Executive Order) is ripe. How would the statute and the Order fare if courts reviewed them on the merits? Let us turn first to the statute, since its fate affects the Executive Order’s quite a bit. The city’s strongest argument against section 1373 is that the Tenth Amendment forbids the federal government coercing states and localities into remaining open to having their employees maintain and share with federal authorities “information regarding the citizenship or immigration status, lawful or unlawful, of any individual.” In challenging this federal directive, San Francisco relies on principles of federalism as expounded in Printz v. United States, a 1997 Supreme Court case holding that the federal government could not require state and local law enforcement officers to conduct background checks on gun purchasers as part of the implementation of a federal law (the Brady gun control law). 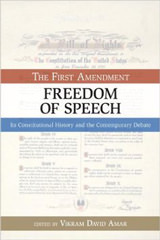 “The Federal Government,” the Court said, “may neither issue directives requiring the States to address particular problems, nor command the States’ officers, or those of their political subdivisions, to administer or enforce a federal regulatory program.” According to San Francisco, this is precisely what section 1373 does. We should note at the outset that Printz might not command majority support on the Court today. It was a controversial 5-4 ruling subject to much academic criticism, and three of the five justices in its majority have left the Court. It is possible that their replacements agree with Printz, but the issue hasn’t recurred at the Court in the last two decades in a way that gives us much clear indication. Moreover, the fact that Printz involved gun control (at a time when many of the members of its majority were beginning to think that the Second Amendment ought to be read more forcefully) complicates matters; it is possible that some people who believe Printz was correctly decided might create an exception for immigration or national security matters. On the other hand, perhaps the two remaining dissenters in Printz (Justices Ginsburg and Breyer) have now come to see its wisdom or consider it binding precedent that ought to apply in this setting. Another important challenge for the city is that in Printz the Court expressly reserved whether its holding should extend to federal laws “which require only the provision of information to the Federal Government,” as does section 1373. 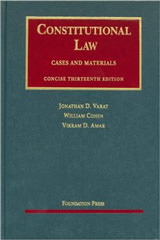 What is more, at least one lower court case (from the Second Circuit) decided shortly after Printz has rejected a similar challenge to section 1373, holding that although the federal government may not compel states and localities to carry out federal programs, it may prohibit them from restricting state and local officials from “voluntarily” exchanging information with federal authorities. Otherwise, the Second Circuit reasoned, states and localities could hold federal authorities hostage, and frustrate federal programs, by reducing “voluntary” cooperation. The Second Circuit’s logic here is open to question. The Second Circuit says state and municipal officials ought not to be constrained by state law from “voluntarily” cooperating with the feds, but state and municipal officials in this setting are not operating as private citizens—they are operating as state government actors. The “voluntary” decision whether to cooperate is (or ought to be) located at the level of state or local government, not at the level of the individual state or local employees. Even though the Second Circuit’s reasoning was flawed, its instinct that statutes seeking to gather information like section 1373 fall outside of Printz’s prohibition might be correct. For starters, note that section 1373 (unlike the law in Printz) imposes not just upon state and local entities and officials, but federal entities and officials as well. In that sense, it is not a law that targets state and local government for distinctive burdens. 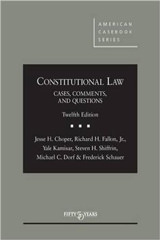 Perhaps even more importantly, the key factor relied upon in Printz (which in turn was the key factor in the case Printz itself leaned on most heavily, New York v. United States) is the way in which federal commandeering might make it hard for citizens of a state to hold the federal government accountable for unpopular policy. In Printz, the Court said this concern was implicated because disappointed would-be gun purchasers might blame local sheriffs who, under the federal Brady Law, were the ones required to conduct background checks and notify people who failed that they could not buy a gun. By contrast, when the federal government merely commands that states and cities maintain and turn over information to federal immigration officials, it is the feds (and only the feds) who take action on that information in a way visible to the public. Indeed, no affected immigrants (or persons sympathetic to them) would ever necessarily know what, if any, information the feds received from local officials. So it is quite possible that the Second Circuit reached the right result for the wrong reason. And we think the resolution of this question of how section 1373 fares under Printz is very important to assessing the legality of the Executive Order. If one concludes that section 1373 constitutes impermissible commandeering in violation of federalism principles laid out in Printz, then the Executive Order is very vulnerable. 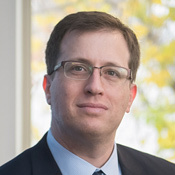 If section 1373 does run afoul of Printz, the only basis for the Executive Order would be federal power under the so-called Spending Clause, where in some circumstances the federal government may achieve what it cannot directly command by creating monetary incentives for state and local governments. The Executive Order instructs federal officials to withhold significant federal funds from sanctuary jurisdictions—including federal funds that have nothing to do with immigration. This would be a calamity for San Francisco, which allegedly receives more than a billion dollars annually, for a wide variety of programs, from the federal government. Fortunately for the City, when the Supreme Court held in 2012 that states could opt out of the Affordable Care Act’s Medicaid expansion in National Federation of Independent Businesses (NFIB) v. Sebelius, it laid down strict prerequisites for the withdrawal of existing federal funding of states and localities. First, the federal government must give clear notice of the conditions on the funding up front, so states and localities can choose whether they want the money enough to accept whatever strings are attached. Second, there must be a logical nexus between the federal funding in question and the strings attached, so that the federal government cannot coerce states and localities by ratcheting up the stakes by bringing in other monies. Third, even if there is a nexus between the funds and the condition imposed, the funds cannot involve significant monies the state or locality has been relying on for so long such that there is really no choice but to accede to a new condition going forward. Application of the NFIB test would likely invalidate the Executive Order. Even assuming that the Order fully reflects the will of Congress (a separate important question we do not address today), with respect to most if not all of the federal funding at issue, there was no clear notice to the city—at the time the funds were offered and accepted—that the funds might be contingent on compliance with section 1373. (That problem might be solved by reading 1373 and the Executive Order as prospective only—cutting off only future funding on account of future violations of section 1373). But the key vulnerability of the Order lies is the lack of a nexus between the funding in question, which goes towards a wide variety of programs, and section 1373. Finally, the large size of the funding at issue—according to the city, some 13 percent of its budget—tends to make the Executive Order’s threat look coercive, at least under the lens of NFIB. (It is interesting to note that the federal Medicaid funding at issue in NFIB amounted to about the same percentage of state budgets as the percentage involved here.) Thus, the Executive Order, which threatens across-the-board funding cuts based on an immigration-specific condition, would seem to violate the rule laid down in NFIB and the cases on which it built. If, by contrast, courts conclude that section 1373 is permissible under Printz (because, for example, demands like this do not impair accountability or because they impose only de minimis burdens on states and localities), the Order could very likely be upheld. After all, if the federal government could go to court to enjoin the city from violating section 1373, and to seek contempt sanctions if the city disobeys a court order, why should it not also be able to condition federal funding on the city’s compliance? In NFIB, the federal government clearly could not have forced states to accept the Medicaid expansion; its only way to affect their behavior was to use the power of the Treasury. But where a state or locality actually violates a valid federal law, it is less clear there is anything wrong with the federal government enforcing that law fiscally rather than through the courts. Another way of putting the point is that all of the three elements of Spending-Clause doctrine in NFIB discussed above are consciously designed to preserve some meaningful choice by states/localities about whether or not to accept conditional federal funds. But states have no legitimate choice whether to comply with valid federal commands, so arguably none of the Spending Clause protections ought to apply. But does all of this mean that the federal government could announce, without notice, that a state or locality was being stripped of all federal funding just because it was violating (or had violated in the past) any of the innumerable federal laws on the books that bind it? We have an instinct that even where the government has the power of direct fiscal enforcement, some measure of notice should be required before it can strip a state or locality of what may be long-established, essential federal funding. Certainly, government has to give individuals some notice of what the consequence of violations of law will be, largely because government owes individuals due process. Does federalism require the federal government to give states the same notice, even when states have no valid choice not to comply (just so states can lobby federal legislators or properly adjust resources to minimize the likelihood of noncompliance)? Moreover, even if notice is provided, can the federal funding weapon really be completely unrelated to the state/local violation and be gigantic in size simply because the feds could enforce the law in court? Might there be some analogy to the Excessive Fines Clause of the Eighth Amendment (which protects persons) that limits the federal government’s ability to intimidate states into steering far clear of noncompliance? If San Francisco’s case makes it past the ripeness hurdle, these are the kinds of interesting and difficult questions to which we may begin to get some answers..